Wool Sweaters is proud to be associated with Norlender in offering you the customer, Authentic and Traditional Hand Crafted Norwegian Knitwear Woollen Sweaters made from 100% Pure Wool for your comfort and enjoyment. As a family owned business we pride ourselves in offering a personal service and great attention to detail. We produce an extensive range of classical and modern designed knitwear garments for adults and children directly from Norway in Genuine Norwegian Wool renowned for its softness and warmth. Cardigans For Women, Sweaters for Women, Cardigans for Men and Sweaters for Men. Along with Kids Sweaters and Accessories. 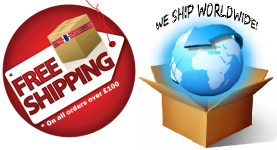 All with ﻿FREE Worldwide Delivery ﻿﻿subject to order value﻿. Also we stock the renowned "Fisherman Sweater" which we always have in stock in Unisex sizes for working outside in rough weather conditions. In stock is always a wide range of accessories for adults and children including traditional Norwegian Hats, Gloves, Mittens and Scarves including Kids Accessories to match with the Sweater. Corporate Logos and labels for your knitwear and jumpers can be designed, embroidered and knitted by our team of knitwear designers for small or large orders. The "Polar Bear" which appears on all our knitwear labels is the trademark of Norlender Knitwear and the official trademark. This guarantees the authenticity of our Jumpers and Knitwear, made from Genuine Norwegian Wool.